Our story is about people who find beauty in simplicity. Simple is not about being plain. It is about being grounded, sophisticated and true to oneself. Away from distractions and focused on the things that are truly important in life. With this mindset we are committed to creating timepieces and jewellery that represent elegance and minimalism for those who are conscious about their style. 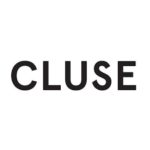 CLUSE jewellery brings the best out of your look and completes your outfit. A CLUSE watch not only indicates time, but defines your best moments and captivate attention in all simplicity. Are you interested in our added value or in one of our solutions? Then fill in your information and we will contact you as soon as possible!